Witch Skin Care Winter Routine + Giveaway! During the winter months I notice my skin needs a little more tlc. I was excited to be contacted by Witch to work with them and to host a giveaway for you guys to win some goodies too. I will get into the giveaway soon enough, first I will get into chatting about how I got on using some Witch skin care. I always wonder how I can switch up my skin care to keep it in the best condition over the Winter months. One other problem I have is what products do I use to make the switch. I have a check list for my Winter skin care which is I want something gentle, kind and affordable for my skin routine, something that works too. I have tried products myself from Witch and got on really well with it. 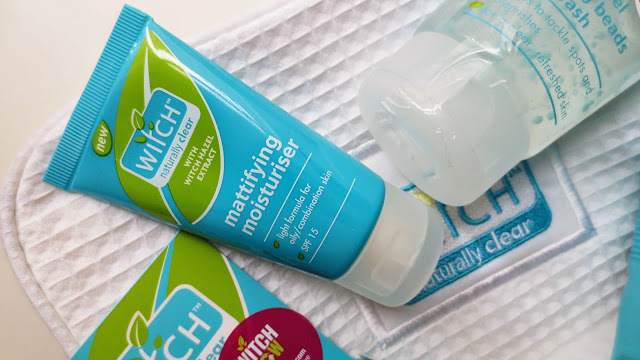 love the witch hazel extract which leaves my skin feeling smooth and looked after. I find that using Witch works, it helps me keep a good routine and it eases the pain of the cold months. Good skin over the winter period, sounds good to me right? Lets talk about some of the products so that you can get an idea of where I am coming from describing this as a perfect skin care routine. Blemish Stick: This is an award winning product which helps fight away those nasty spots. I find that this product starts working from the beginning of my routine. It helps break down the excess oils and it fights bacteria that causes those nasty spots. This is a product I am happy to have in my Winter skin care, it does what it says on the packaging! Blackhead Clearing Gel: My skin tends to lose its glow in the Winter time, which is never fun. This products helps to fight this and it brings the bright fresh skin back to life. I hate blackheads and as a teenager I wish I knew about a skin routine which included this product. All you have to do is massage the gel into dry skin and watch your skin look and feel better. I am so exited by this one, its great! Cleansing & Toning Wipes: I enjoy using these cleansing wipes to make sure all my make up is off my skin but its not the only step I would use. I love how soothing they feel on my skin, fresh and they also help to tighten pores. Bursting beads Face wash: One product I need in my skin care during the winter is a decent face wash. This one feels amazing on my skin, I am so pleased with it. I think this product is a Winter essential! Moisturiser: If your skin feels drier in the Winter months a good moisturiser helps to have handy. I always feel confused in which skin products to buy but after using this one I am so happy with the outcome. I tried all the products myself and my skin feels so much healthier,softer and I can tell the products are fighting away those nasty spots. I wish I knew about Witch as a teenager. All these products act as a really good skin routine and I highly recommend you enter the giveaway. All you have to do to enter is follow the steps set on the Rafflecopter below! I just want to say a big thank you to Witch Skincare for the chance to host this giveaway so that my readers can experience Witch too. Once the winner is announced I will pass on your email and details to Witch and they will send out your prize! Head over to Switch to Witch to unlock some Essie button videos! Here Good Luck! I have some exciting news to share with you, head over to this blog post here to vote for me in the UK blog awards or click on the logo under my profile picture. thank you for all your support, it means the world to me. Wow! This sounds like such an amazing skincare routine! I'd love to win this because I struggle with skincare as well, especially in the winter and lately I'm having so many hormonal breakouts that are making me wonder what I'm doing wrong. Would love to try some of these amazing products! Is this open to the US? I love witch hazel! 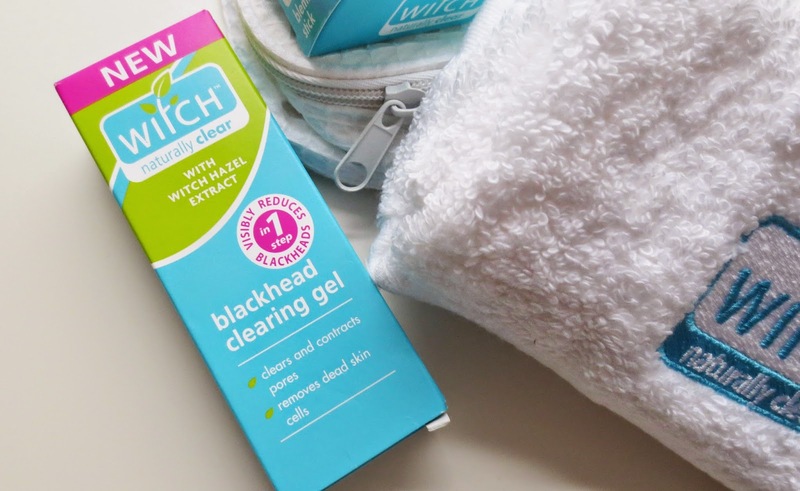 I've used witch products for years to keep my skin blemish free!!! I suffer from incredibly oily skin and need something to help control it. 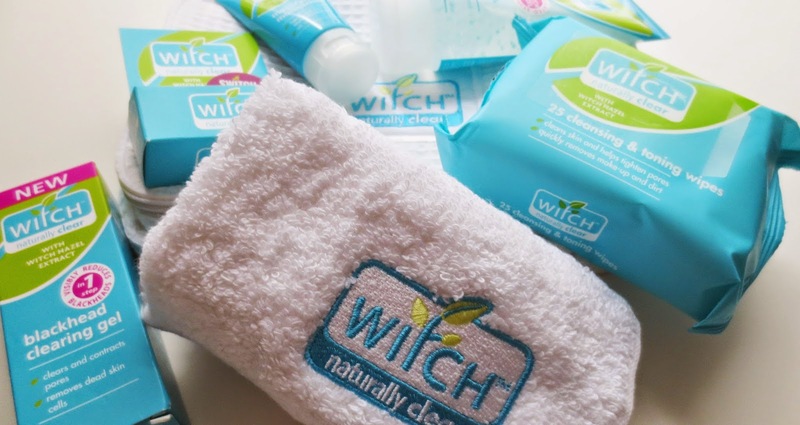 I have never tried Witch products before.